After losing her job at the library, Cel Walden starts working at the haunting Logan Museum as an archivist. 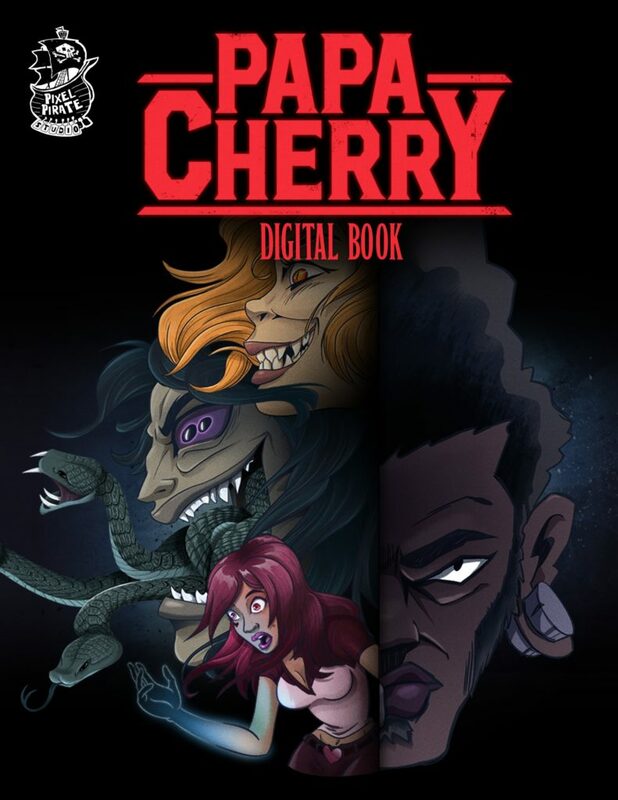 But the job may not be the second chance she was hoping for, and she finds herself confronting her mental health, her relationships, and before long, her grasp on reality as she begins to dream of a young woman she’s never met, but feels strangely drawn to. Especially after she asks Cel for help. As Cel attempts to learn more about the woman, she begins losing time, misplacing things, passing out—the job is becoming dangerous, but she can’t let go of this mysterious woman. Who is she? Why is she so fixated on Cel? And does Cel have the power to save her when she’s still trying to save herself? The award celebrates diversity in comics and comic creative teams, and honors the memory of Dwayne McDuffie. McDuffie was a comics writer and co-creator of Milestone Media, which featured superheroes of varying genders, sexualities, race, and ethnicity. He died in 2011 at the age of 49. 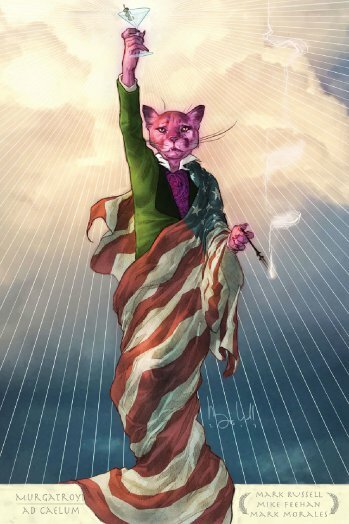 The award is given to comics that continue his legacy of featuring diversity as well as telling a compelling story. 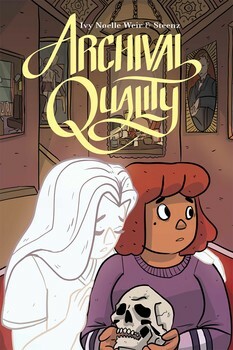 The 2019 selection committee consisted of nine comics and animation professionals who personally knew and worked with Mr. McDuffie and/or have demonstrated a serious commitment to his vision of excellence and inclusiveness on the page and behind the scenes, Cheryl Lynn Eaton, Jennier de Guzman, Joan Hilty, Jamal Igle, Mikki Kendall, Heidi MacDonald, Kevin Rubio, Geoffrey Thorne, and Will J. Watkins. 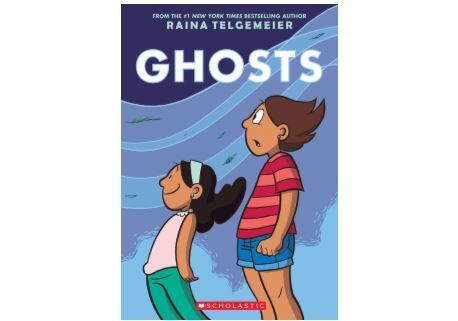 The five finalists for the 2019 Dwayne McDuffie Award for Diversity in Comics Award were revealed February 7. The winner will be announced at the Long Beach Convention Center on February 15, just ahead of the Long Beach Comic Expo weekend. 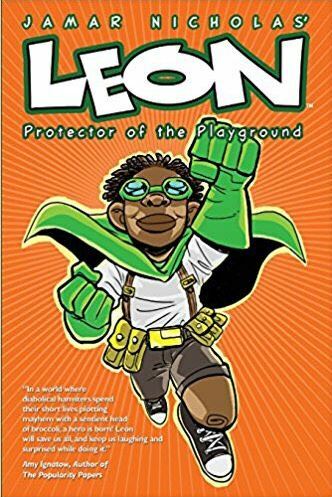 Leon: Protector of the Playground, written and illustrated by Jamar Nicholas (Kids Love Comics) is the winner of the 2018 Dwayne McDuffie Award for Diversity. The Dwayne McDuffie Award celebrates diversity in comics and comic creative teams. At the Dwayne McDuffie Award for Diversity in Comics ceremony! Princess Princess Ever After, by Katie O’Neill. The Ann Arbor Comics Art Festival (A2CAF) also sponsored a set of awards that kids attending the con were able to vote for via paper ballot, while the wider world was invited to vote via online form. The nominees are listed below with the winner in BOLD. 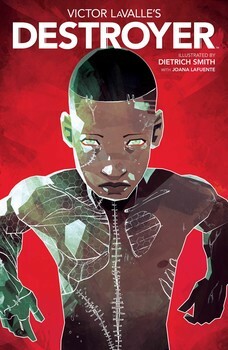 Ezra Clayton Daniels has won the 2017 Dwayne McDuffie Award for his science fiction graphic novel Upgrade Soul. 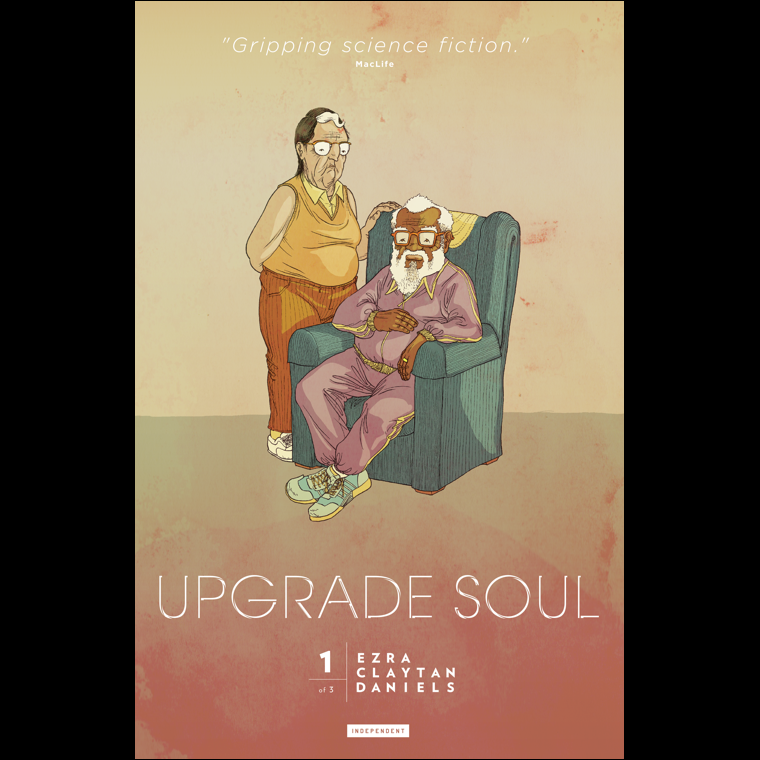 UPGRADE SOUL is an immersive science fiction graphic novel written and illustrated by Ezra Claytan Daniels. Featuring an original score by Alexis Gideon and interactive design by Erik Loyer. UPGRADE SOUL is the story of an elderly couple who become the guinea pigs of a visionary procedure that aims to revivify them by filtering toxins from their bodies on a molecular level. When the procedure experiences a fatal complication, the couple is faced with severely deformed, though intellectually superior duplicates of themselves. Soon, it becomes clear that only one version of each individual can survive, and the psychological battle for dominance begins. The Dwayne McDuffie Award celebrates diversity in comics and comic creative teams. This year’s award jury included Black Panther writer Don McGregor, Batgirl and Birds of Prey writer Gail Simone, Green Lantern and Iron Man artist Mark D. Bright, and Milestone Media’s Matt Wayne, and others. The finalists for the third annual Dwayne McDuffie Award have been announced by The Hollywood Reporter. The award celebrates diversity in comics and comic creative teams, and honors the memory of Dwayne McDuffie. McDuffie was a comics writer and co-creator of Milestone Media, which featured superheroes of varying genders, sexualities, race, and ethnicity. He died in 2011, aged 49. The award is given to comics that continue his legacy of featuring diversity as well as telling a compelling story. The award jury includes Black Panther writer Don McGregor, Batgirl and Birds of Prey writer Gail Simone, Green Lantern and Iron Man artist Mark D. Bright, and Milestone Media’s Matt Wayne, among many others. The winner of the award will be revealed on Saturday at the Long Beach Comic Expo. 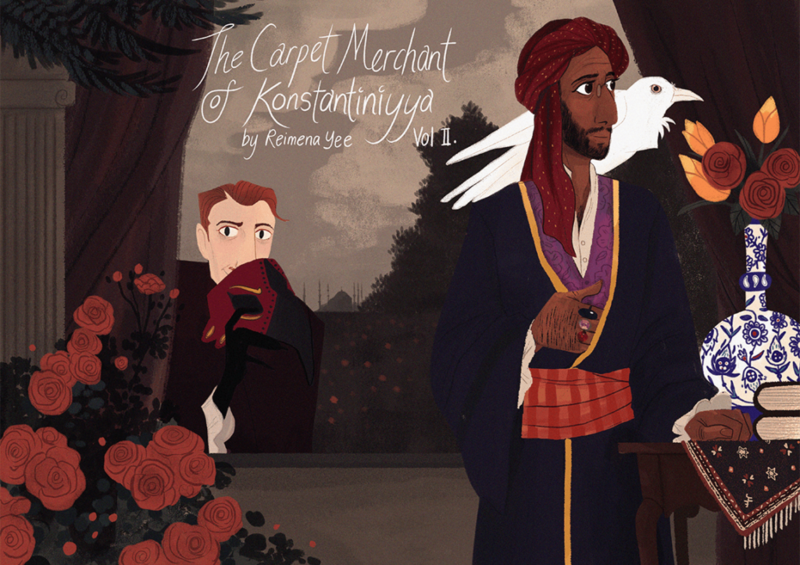 Ms. Marvel by Willow Wilson (writer) and Adrian Alphona (artist) is the winner of the 2015 Dwayne McDuffie Award. This is the second year the award has been given. It celebrates diversity in comics and comic creative teams, and honors the memory of Dwayne McDuffie. McDuffie was a comics writer and co-creator of Milestone Media, which featured superheroes of varying genders, sexualities, race, and ethnicity. The award is given to comics that continue his legacy of featuring diversity as well as telling a compelling story. The award jury was composed of prominent comics and animation professionals who knew McDuffie and have demonstrated a commitment to inclusiveness: Neo Edmund, novelist, animation and comics writer; Joan Hilty – Nickelodeon Comics Editor; editor-in-chief of Pageturner, former DC/Vertigo Senior Editor; Joseph Illidge – Former Editor, Milestone and DC Comics; Columnist, Comic Book Resources; Writer, First Second Books; Heidi MacDonald – Editor in Chief, The Beat; William J. Watkins – Writer; Former owner, Chicago’s first African American-owned comics store; and Matt Wayne, Former Managing Editor Milestone Media.